I looked through my paper collection for a large scenic design for the insert and came across several sheets from the Le' Romantique Collection from Graphic 45. As soon as I flipped through the sheets and saw the one covered with peach roses, I changed up the design and decided to use a photograph in the insert and the roses on the actual frame. I started by fan-folding four sheets of black 8 1/2 x 11 paper as shown in the link above and then trimmed two to 8" and two to 9". The pieces fit together more easily than you'd think but need lots of scor-tape to hold the sides together. Tape loosely until you get all the sides squared up. 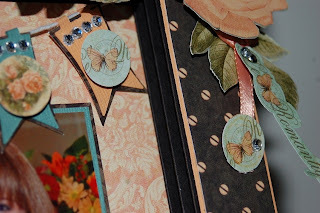 The outside of the frame was covered with four pieces of black/peach dotted paper mounted on peach cardstock - and then the corners were mitered. 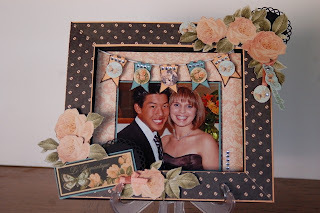 Next I cut another sheet of black paper to make the back of the frame and covered it with the peach patterned paper. Do not attach the backing yet. 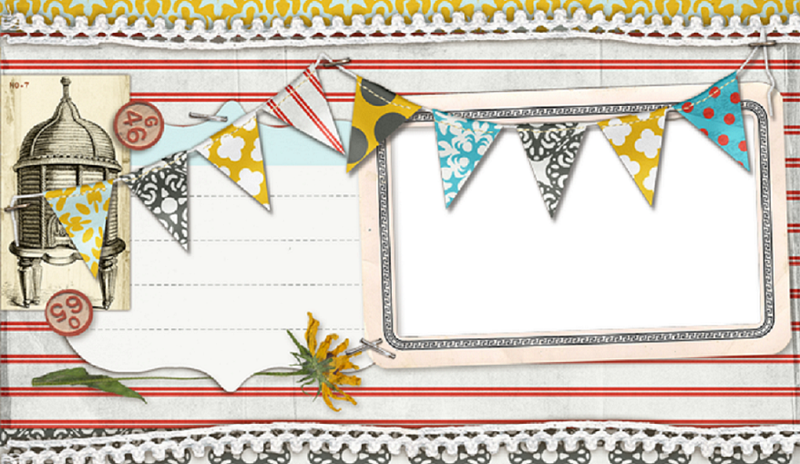 Now the fun begins.....I used a small Quickutz banner die to make five banners and then mounted each on black patterned paper from the Graphic 45 collection and handcut to leave a small border. I used a small circle punch and punched out butterflies, roses and the profile of the couple and mounted them on the banners with foam-tape. Four rhinestones finished off each banner. I strung them from a piece of white baker's twine and then punched two small holes in the fan-folds and tied the twine across the face of the open frame. I handcut several roses and outlined the leaves with a Spica pen. The flowers and leaves are overlapped and popped up with foam-tape. 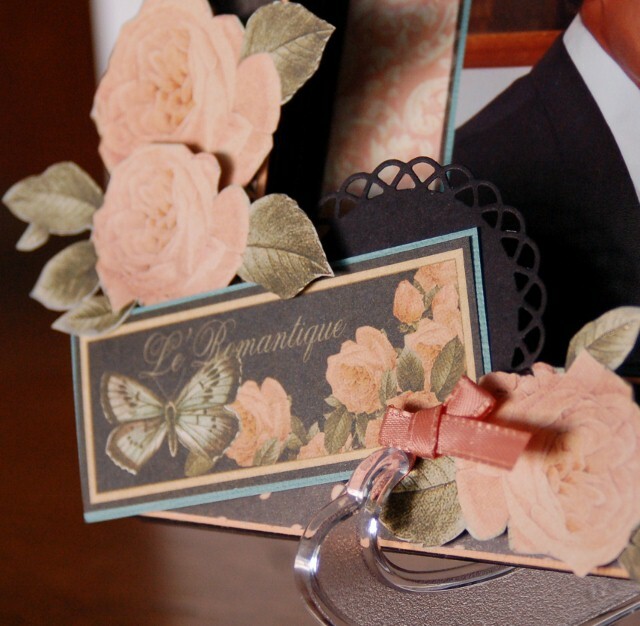 A few more cut-outs from the patterned paper, including two hanging from a piece of ribbon, complete the frame's embellishments. Finally, I double-matted the photo, centered it on the backing under the banner and then attached the backing to the frame. Thanks, Debbie! This project is in the store now, you should really stop in and see it because the folding technique is very neat and detailed - it's a beautiful shadow box. This is very nice. I can't wait to try it.